There is this particular question which is being commonly asked by some deceived and mischievous elements within Biafraland against the family members of the Indigenous People of Biafra (IPOB) especially now that the next round of Nigeria General Elections draw closer. And that question is "what was really the impact of the IPOB commanded election boycott on the immediate past Anambra State election"? This question has repeatedly been asked by mischief makers as a means of discouraging the resolve of the Biafran people globally, which hinges on the order that there certainly will be no further Nigeria organised election in the entire Biafraland until Biafra referendum is conducted. As the 2019 general elections countdown in Nigeria begins, there are many people who are already masquerading as Biafra sympathizers selfishly waiting at the flanks. Their real intents as political predators profiteering in the disgusting political system are already manifesting. They have shamelessly and openly started criticising the uncompromising IPOB command of the forthcoming election massive boycott all over Biafraland, with the imbecilic question of "what was the impact of the election boycott carried out in the last Anambra State conducted in November, 2017? (1) BIAFRANS TOTAL COMPLIANCE TO THE IPOB COMMAND, A SURPRISE TO THE WORLD. On the 18th of November 2017, Biafrans resident in Anambra State, displayed before the global community, their resolve and resilience about the Biafra restoration project. Up to 97% of Biafrans in the state fully responded to the call of the election boycott. It was only few diehard political parties faithfuls that actually voted in the election. Although mischievous Nigerians blatantly decided to twist the truth to favor the organisers when they shamelessly attributed the unprecedented election boycott to the fear of attack from unknown militants. They claimed there were threats of attacks targeted against prospective voters should they come out to cast their ballots. A number of Family Writers Press journalists were detailed to various localities and polling units to monitor proceedings within the State. It was widely reported that Yul Edochie, the popular Nollywood Actor and one of the Governorship flagbearers, casted his vote. He was the only single voter found on the queue. Most of the places I personally covered in Nnewi North Local Government Area and it's environs witnessed deserted polling centres. The people asking the question should note that the world is equally taking records of events as they unfold. In Onitsha, most residents travelled out to neighboring states in obedience to the election boycott order declared by the IPOB leadership. Historically in Anambra State, it has gone down in the records that in order to stem the shame of massive election boycott of citizens, the entire governorship aspirants (candidates) had a consensus that the Independent National Electoral Commission (INEC), should declare the incumbent Governor, Willie Obiano, the winner. This was occasioned by the outcome of a sham called election in Nigeria. The election boycott was colossal and effectually devastating. The IPOB organised boycott forced the parties flagbearers to surrender their mandate to their opponent, in the fear that the IPOB resolve could result in constitutional crises in the state. The parties flagbearers converged in the Government House at Awka and reached an agreement that whether people came out to vote or not, that INEC should invent fictitious figures of choice and declare the incumbent Governor as the winner of the election. It was during the meeting that they resolved on how the Federal allocations from Abuja and other internally generated revenues to the state would be shared amongst themselves as compensations till 2019. So expecting new, valuable and people - oriented projects from Governor Willie Obiano is just a mirage. This was why the outcome of the so-called election was not challenged in any court of law as usually the norm in post - elections in Nigeria. It should be noted that till date, Governor Willie Obiano has not yet recovered from the devastating shock he received from the resolve of the family members of the Indigenous People of Biafra (IPOB), to clinically boycott that election. It is surprising that unlike Willie Obiano before the said election, since after the 18th of November 2017, he has remained dumb before the media. The events of that election have really proven to him and his likes in Biafraland, that real power resides with the IPOB and the strength of the IPOB is indisputably clear in the Biafra restoration project. It is glaringly clear that as the other aspirants willfully surrendered their mandates due to the fear of the IPOB, those hungry - stricken, compromised lawyers/judges in Anambra State awaiting various litigations in courts and tribunals, were disgracefully starved. These lawyers and judges hinge their fortunes on compromised adjudications following elections but those opportunities were effectively flattened as the aspirants agreed with the INEC to publish fictitious results in favour of the incumbent Governor of the state, Willie Obiano. There was no challenge of the results in any court of law. The fear of the IPOB has really taken hold of the politicians and all saboteurs in Biafraland. This has served as an eye opener to all the voters within the Biafra territory. All these political predators remain friends no matter the parties they pitch their tents with. Who would have ever imagined that governorship election will hold in Nigeria without any challenge of the outcome in an election tribunal or any court, especially when it becomes obvious that fictitious results were floated to stem the effect of the election boycott. Another big impact recorded in the IPOB organised Anambra state election boycott, was the encouraging accounts of both the local and international observers who witnessed the election boycott. The world has become fully aware that the Biafran people willingly refused to participate in any Nigeria organised election principally due to their resolve to get the sovereignty of Biafra, their homeland fully restored. Therefore, there could not be any other bigger and better impact than this global awareness. 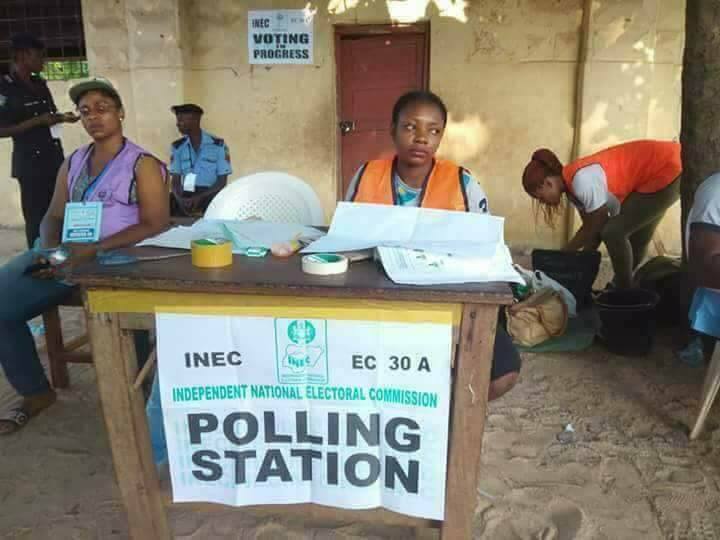 The leadership of the Indigenous People of Biafra (IPOB) and membership globally, never believed there would be no fake results as floated and announced by the INEC because previous elections organised by the same electoral body never saw the genuine outcome of elections as decided by the people but rather the tailored results emanating from boardroom manipulations. Conclusively, it is necessary for the people of Biafra all over Biafraland, to stay indoors come the anticipated 2019 general elections should Biafrans still remain part of the contrapted enclave then. From every indication, people will soon discover that they will sleep in Nigeria and wake up in Biafra. The unfettered restoration of Biafra is very much around the corner and it is only the spiritually sound that can decode it. However, should the time frame of the invisible calendar stretch to 2019 when the Nigerian general elections will be conducted, the world will witness yet again and very unprecedentedly too, the undying resolve of Biafrans in escorting the restoration project of the sovereign nation of Biafra into reality. The forthcoming Nigeria elections will be roundly rejected in the entire Biafra territory even if the supreme leader of the IPOB worldwide, Mazi Nnamdi Kanu happens to be the APC flagbearer. Let not the questionable characters profiteering the system with high writing skills of articles and erudition in analysis, hoodwink you into retracing your steps back to Egypt with the #GetYourPVC# mantra. Needless to catalog their names here, for you very well know them. They have shamelessly mortgaged their consciences through bogus promises of monetary overtures amongst others, from their political demigods. The Biafran people the world over, ably led by Mazi Nnamdi Kanu have very pointedly rejected Nigeria elections and all they represent. So cajoling the people to go get their PVCs for voting in rejected and inconsequential elections, amount to futility and surreptitiously fanning the flames of the enemies. We must distant ourselves from these anointed slaves of the Northern caliphates and very vehemently, play the men for our fatherland, Biafra.